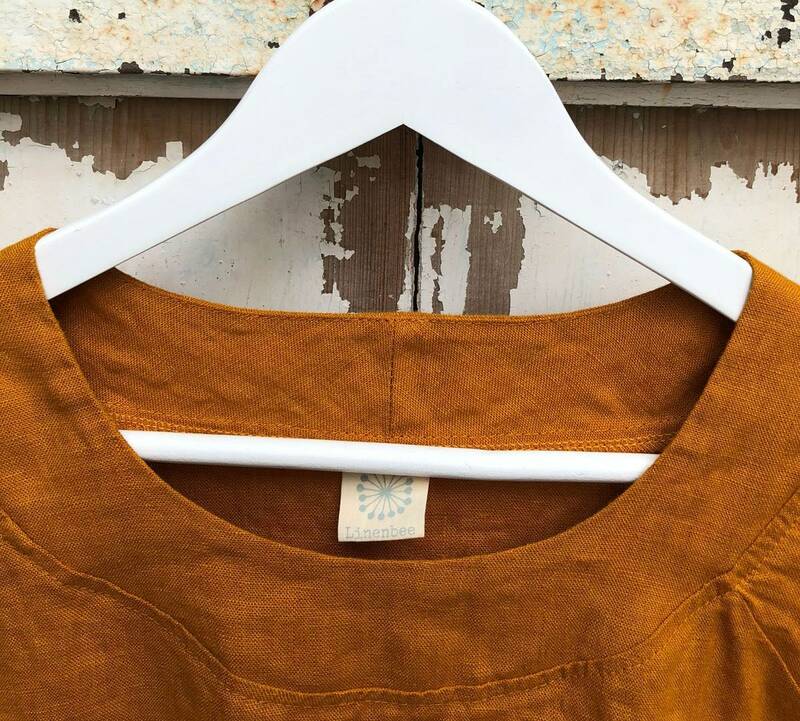 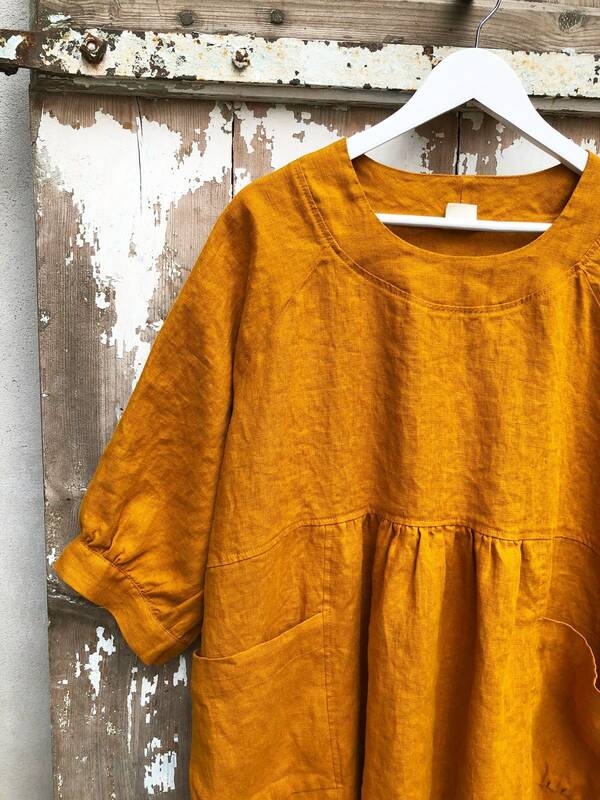 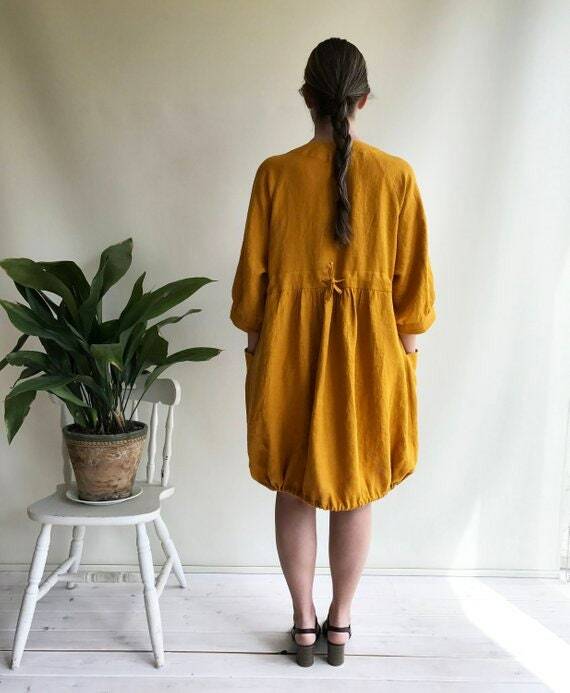 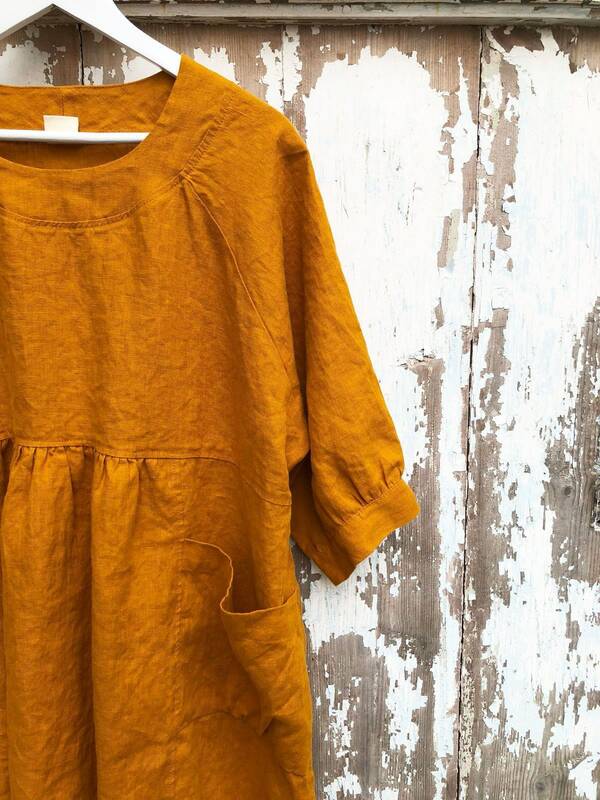 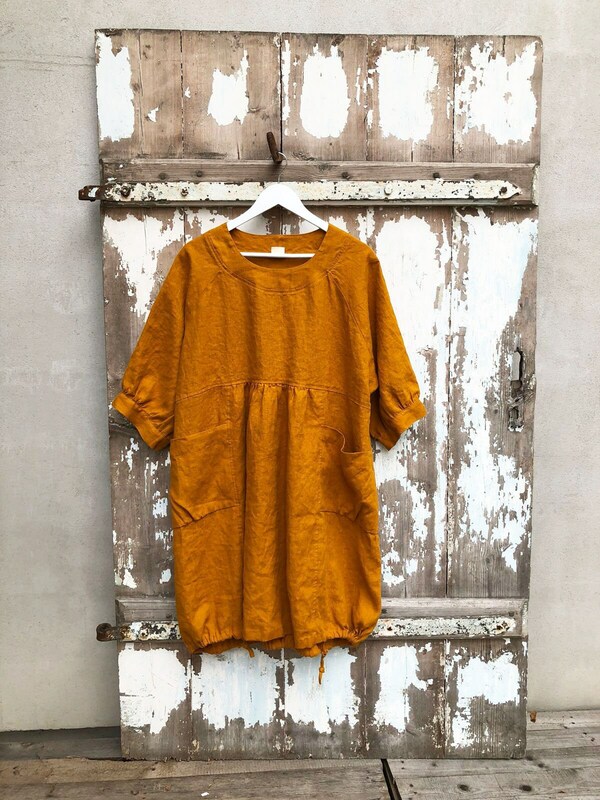 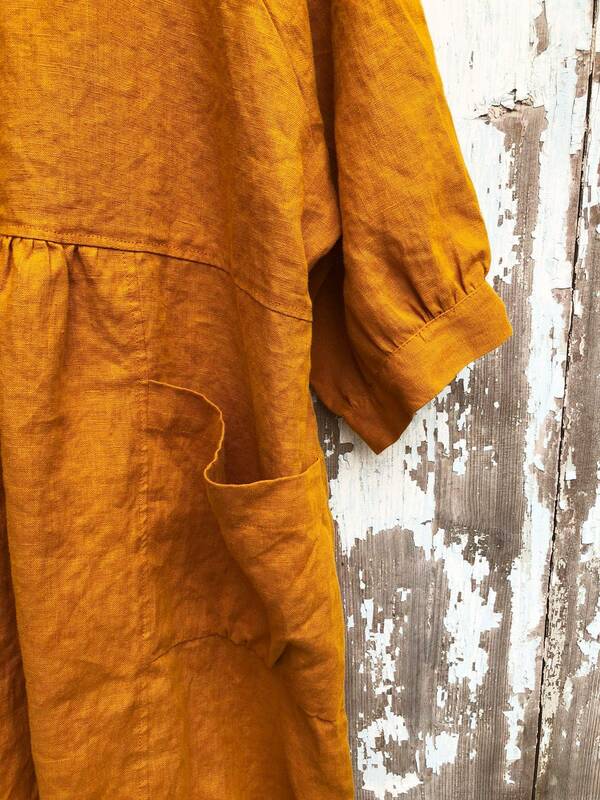 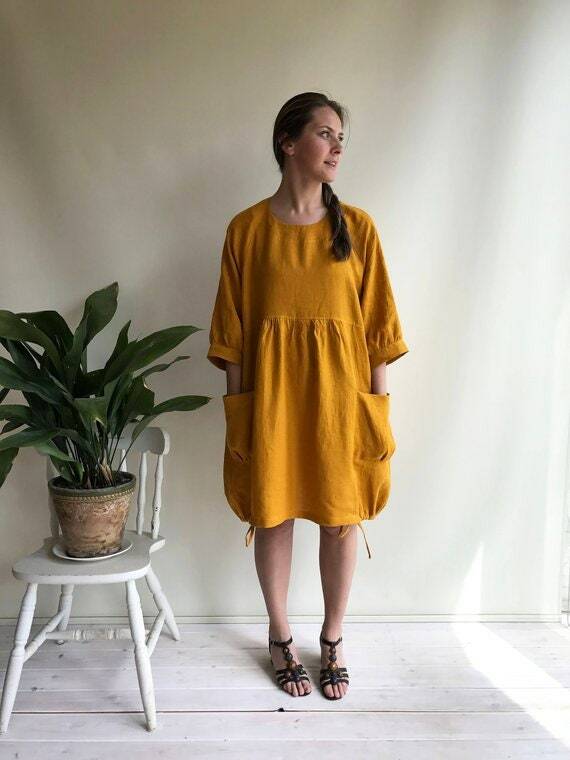 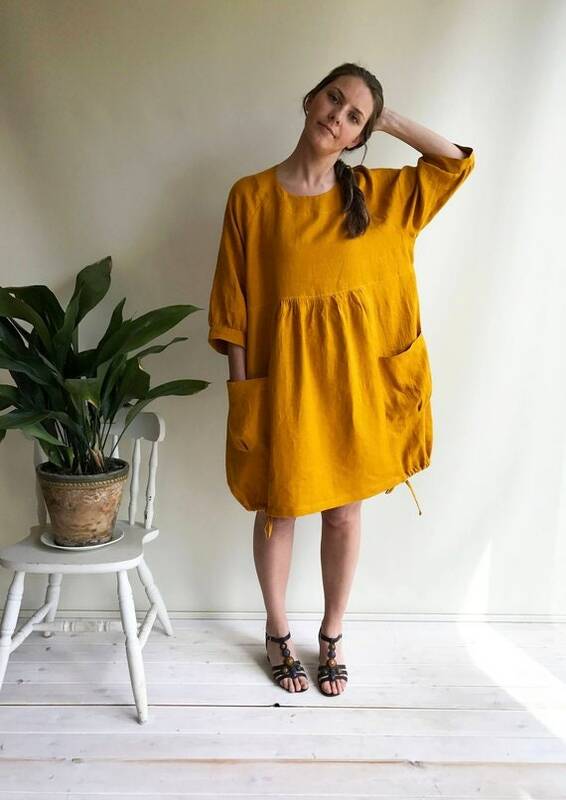 Ready to Ship: Lightweight and joyful linen dress in rich 'mustard' color. 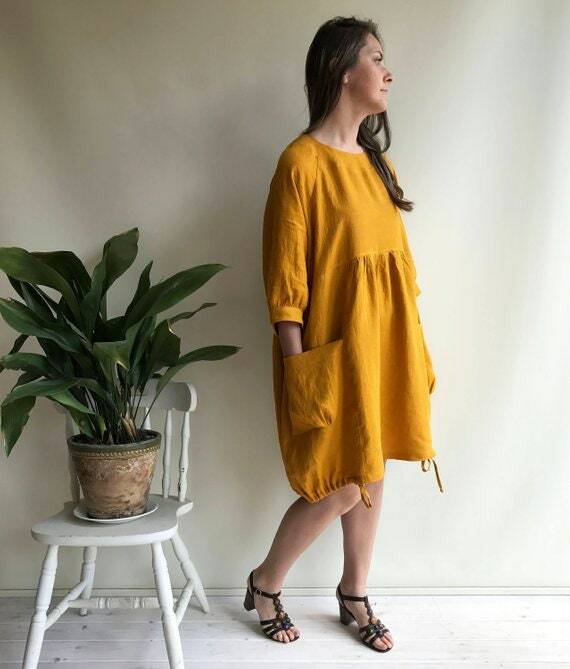 Very feminine and comfortable with handy patch pockets. 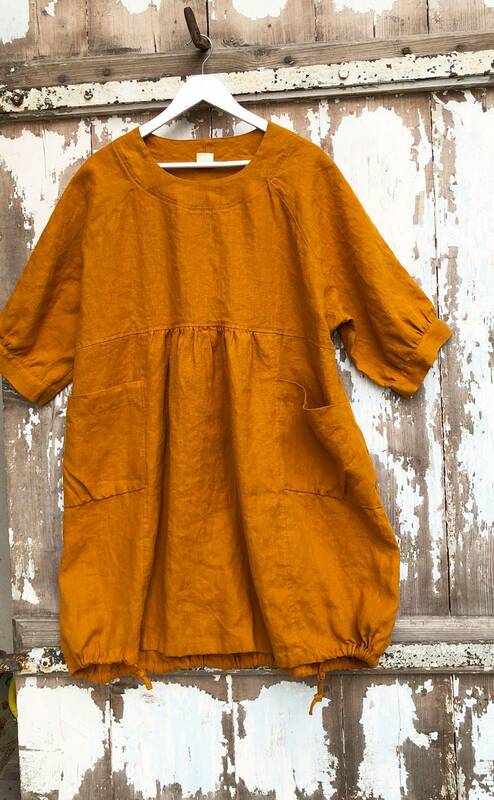 Easy to wear on the beach, at home or strolling the city.